This place is awesome! There is everything you could imagine put together on this massive train set. You can check out a carnival area, buildings, towns, castles, zoo, people, beaches and even a redline district... Like I said everythingJ. 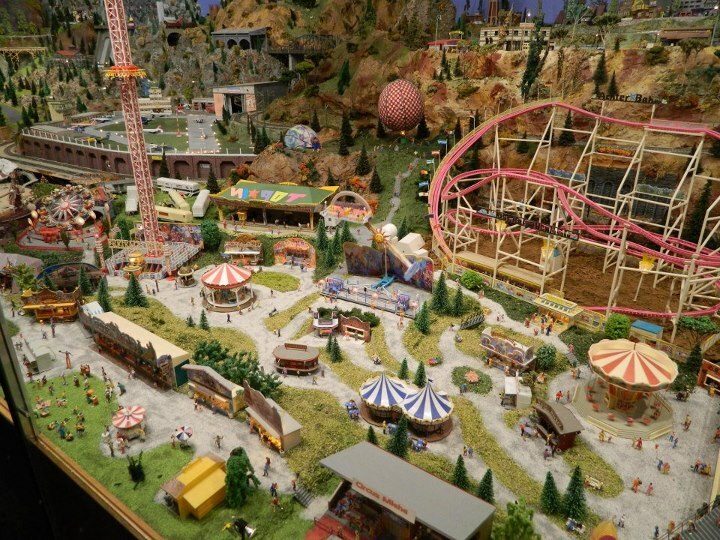 All of the train set is displayed across 4,000 square feet, controlled by multiple computers and a track of about 2 kilometres long. You have to see it to believe it! Paul & Ulla Pedersen put it all together themselves, it started out as a dream of Peter’s and he certainly made it a reality. Everything is hand painted, with an astonishing 15,000 little people. Can you imagine how long that took? According to the owners, they have new plans and ideas in motion all the time. We can expect to see some wonderful additions, ones that are only going to make this masterpiece of work even more astounding. If you haven’t check out this remarkable little place in Osoyoos I suggest you do. Check out there website http://www.osoyoosrailroad.com/building-odmr.html. It has photos, a full write up on Paul & Ulla, as well as admission prices and videos.